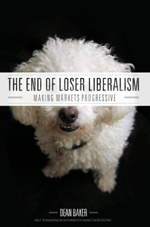 This week we blogged about new data on poverty in America, public-sector job losses putting a drag on the economy, and a new book by economist Dean Baker explaining how we can put an end to "loser liberalism." On poverty, Michael Wood blogged about new Census data showing the American poverty rate has risen to its highest level since 1993 and that the number of people living in poverty is at a record high. Christopher Lilienthal shared charts from the Center on Budget and Policy Priorities interpreting the Census data and linked to another Center analysis showing that by several measures poverty is worse than it has been in decades. On health care, Sharon Ward highlighted a recent policy brief from the Pennsylvania Budget and Policy Center showing that on the six-month anniversary of adultBasic's end, few former enrollees have signed on to the alternative insurance options offered to them. 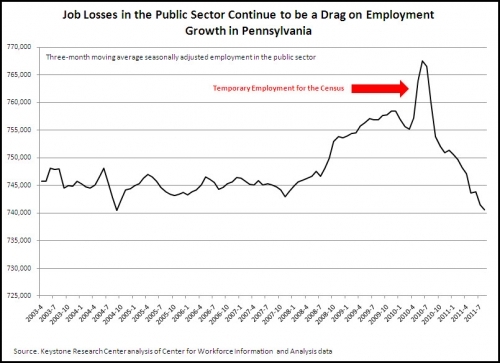 On jobs and the economy, Mark Price commented on the increase in Pennsylvania's unemployment rate last month and how declining public-sector employment is continuing to be a drag on the economy. Finally, Stephen Herzenberg blogged about a new book by economist Dean Baker with the provocative title The End of Loser Liberalism: Making Markets Progressive and an online discussion of the book planned for Sunday from 5-7 p.m.
Our friend Dean Baker at the Center for Economic and Policy Research has a new book out with the provocative title The End of Loser Liberalism: Making Markets Progressive. You can download the book for free HERE. You can also listen to an online discussion of the book this Sunday from 5-7 pm by clicking HERE (You will have to register with firedoglake to participate in the discussion). Let us know what you think of the discussion by writing a comment on this blog post. And read on to learn the core argument of Dean's book and why we at the Keystone Research Center are NOT loser liberals. The weak national economy is being felt in Pennsylvania as the unemployment rate climbed from 7.8% to 8.2% in August, according to the state Department of Labor and Industry's August jobs report. As I noted in a media statement, declining public-sector employment is continuing to be a drag on the economy, as private-sector job growth limps along. This chart illustrates just how much public-sector employment has dropped off over the past year. The August report clearly demonstrates the need for a jobs plan to meet the vast challenges our economy faces. On that point, my colleague, Stephen Herzenberg, will be on WITF-TV's Smart Talk at 8 pm tonight discussing that very issue. Tune in if you can, or watch it later online. As the recession took its toll last year, more Americans fell into poverty, saw their incomes decline and joined the ranks of the uninsured, according to new data from the U.S. Census Bureau. The Census Bureau released the results of its annual Current Population Survey today in a new report — the first to include a full year of data from the Great Recession. At the Pennsylvania Budget and Policy Center, we have an analysis of the data, including a look at some state-level details. During 2010, the national poverty rate increased to 15.1%, the highest level since 1993, with a record-breaking 46.2 million American adults and children living in poverty. Median household income also declined, and the number of individuals without health insurance increased again, now approaching 50 million. The Census Bureau released data this morning on poverty, incomes, and health coverage in 2010. The Center on Budget and Policy Priorities has created some charts to show how the new figures look in historical context. The Center has a lot more charts interpretting the Census data here. And check back with us later in the week for more details on what the new Census data mean for Pennsylvania. Updated: Friday, September 9, 2011, 11:15 a.m. There is no question that we need a jobs policy to meet the vast challenges our economy faces today. The President has put forth some good ideas, including an extension of unemployment benefits that will help families in rural and urban communities where jobless rates are particularly high. This plan should be the start of a broader discussion about how we can invest in people and local communities across the nation to repair our broken economy. Doing nothing is not an option. The team at the Economic Policy Institute has a quartet of blog posts, including Heidi Shierholz's look at the jobs gap, John Irons' analysis of the jobs impact of the President's plan, Ross Eisenbrey's take that the plan is mostly on the mark, and Lawrence Mishel's analysis of how effective the plan is. Dean Baker writes that it is encouraging to hear the President include work-sharing in his jobs agenda. Over at The New York Times, Paul Krugman writes that the plan is significantly bolder and better than he expected. Jared Bernstein shares some number crunching on the plan's impact on GDP and jobs. Finally, the folks at Macroeconomic Advisers LLC blog that the plan will be a significant boost to GDP and employment. Do you know many unemployed people these days who are turning down jobs while holding out for a better offer? Over one in four Pennsylvania workers — and nearly one in three U.S. workers — have had less paid work than they wanted during the last 12 months. For every job opening in Pennsylvania, there are approximately eight workers who want more paid work — four of them are unemployed and four are underemployed. Those are pretty sobering statistics. Yet this Labor Day, readers of the Patriot-News were treated to a very different set of statistics by columnist Anne McGraw Reeves. Citing a temporary help agency, she wrote that 52% of surveyed employers "reported difficulty filling jobs." Welcome back from your Labor Day Holiday! While we were releasing the State of Working Pennsylvania 2011 last week, the good people at the U.S. Department of Labor released their latest nationwide data on the August employment picture. Here is a run down of the main points from Washington's leading labor economists. "The length of the average workweek declined in August to 34.2 hours. Average hours have dropped in the last three months, have seen no net growth over the last year, and have thus far made up just over half of what they lost in the first 18 months of the downturn (the low point was 33.7 in June 2009). One thing this underscores is that the lack of hiring right now primarily indicates a lack of demand, and not an inability by businesses to find the right workers or because of uncertainty or concern about regulatory burdens. If the lack of hiring was occurring for some reason other than a lack of demand, we would see businesses strongly ramping up the hours of the workers they have. As it is, there remains substantial room to meet unmet demand by increasing hours of existing workers; if private-sector employers were to simply restore the hours of their workers back to pre-recession levels, that would be equivalent to adding over 1.2 million jobs at current average hours." This week, we blogged about the latest State of Working Pennsylvania report and creating a "moral economy," a forum for citizens to weigh in on Marcellus Shale drilling, and a new study on the impact of the Marcellus Shale on Pennsylvania's economy. Writing about the Keystone Research Center's State of Working PA report, Stephen Herzenberg outlined the need for policies to foster a "moral economy" that works better economically and supports rather than undercuts American values. On the Marcellus Shale, Sharon Ward examined a new report from the Penn State Marcellus Shale Education & Training Center showing that the Marcellus Shale is creating jobs and increased income, but at a much more modest level than industry studies predicted. Also on the Marcellus Shale, Chris Lilienthal blogged about a new commission giving citizens an opportunity to weigh in on the impact of shale drilling.